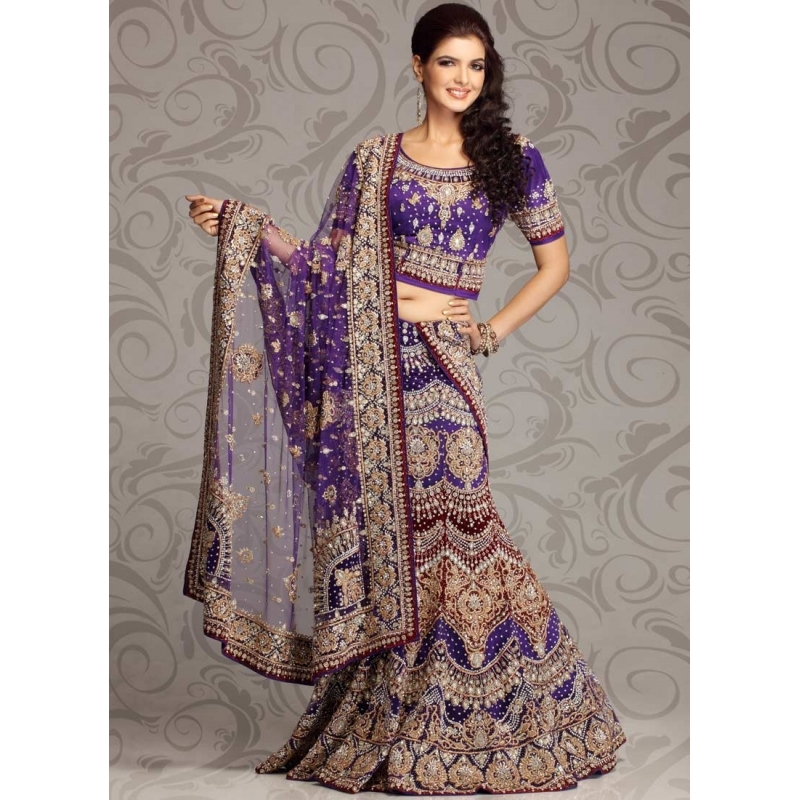 Let the spotlight be on your unmatched bridal charm in this violet shade lehenga choli. Lehenga in net features embroidered buttis enhanced with intricate zardosi, crystals, kundan and stone studded patterns. Velvet panels, featuring rich zardosi, kundan and stone work, accentuate the appeal. Comes with a matching choli and dupatta.